The Department of Health (DOH) Regional Office V has approved the renewal of MNWD’s Laboratory Accreditation last December of 2015 and will expire on December 31, 2018 which aims to maintain the quality of drinking water, fit for public consumption in accordance with the Philippine National Standards for Drinking Water, DOH 2007 through the performance of chemical, physical and bacteriological analysis involving the use of Standard Laboratory Methods and Equipments, located at 3rd floor, MNWD main building. The MNWD’s Laboratory is equipped with latest facilities that are being maintained and operated by a licensed Medical Technologist and a Chemist, working together giving the best, accurate result and speedy service to the public. 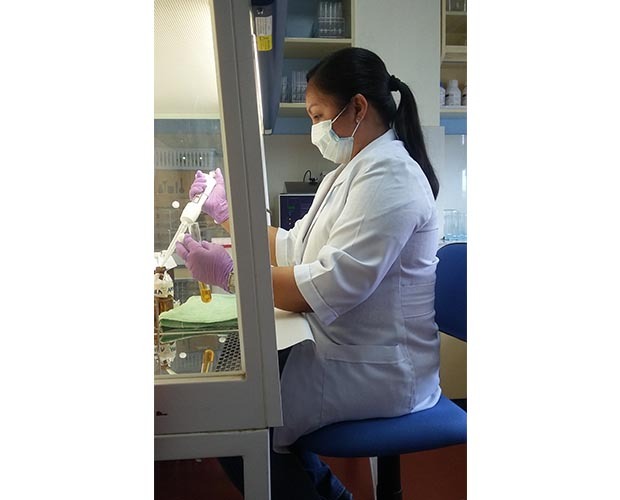 The laboratory conducts regular bacteriological, physical and chemical Analyses to MNWD’s 26 production sources and observation wells within the district’s jurisdiction. Also, the laboratory extend its services to fellow local water districts, refilling stations, other agencies and private individuals with exclusive water sources, in affordable laboratory rates/fees. MNWD Laboratory is accredited by the Department of Health since 2003. MNWD continue enhancing its services to address public demand and needs. MNWD Laboratory Professionals in Action. 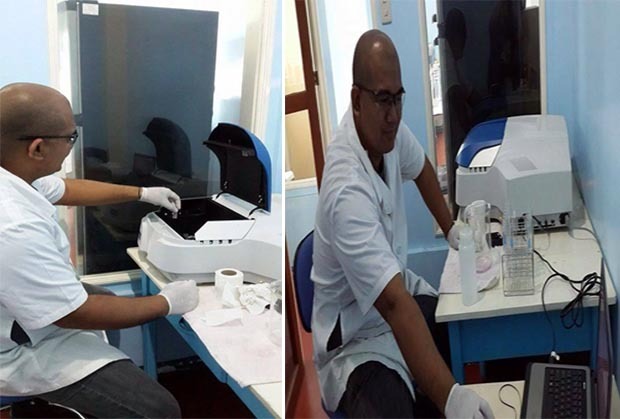 Chemist, Mr. Bryan Roy Saguit and Medical Technologist, Ms. Zandra S. Gutierrez (below) conducting water analyses.